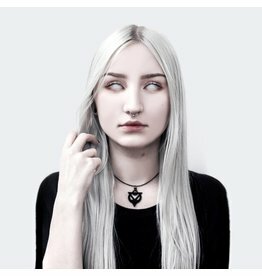 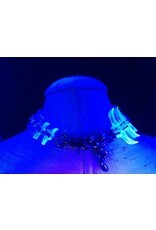 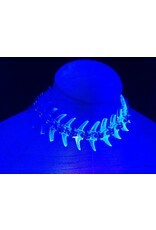 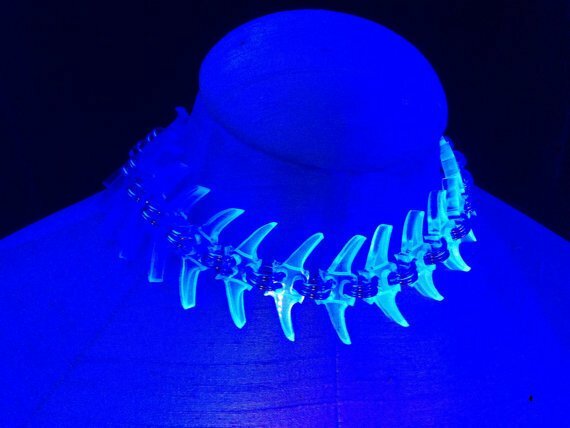 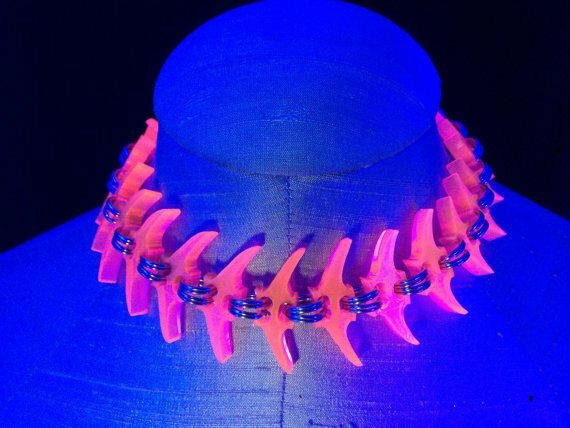 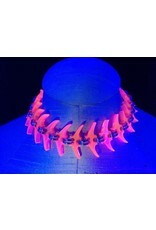 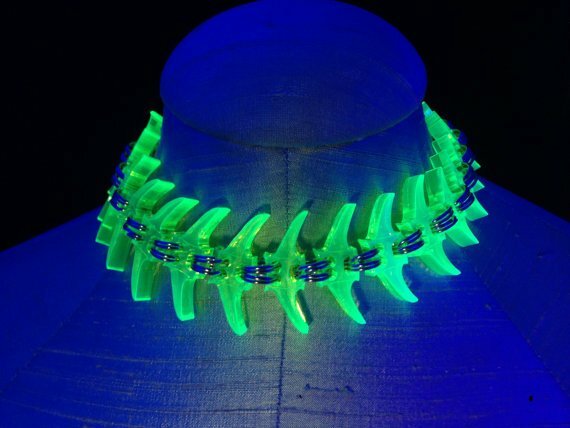 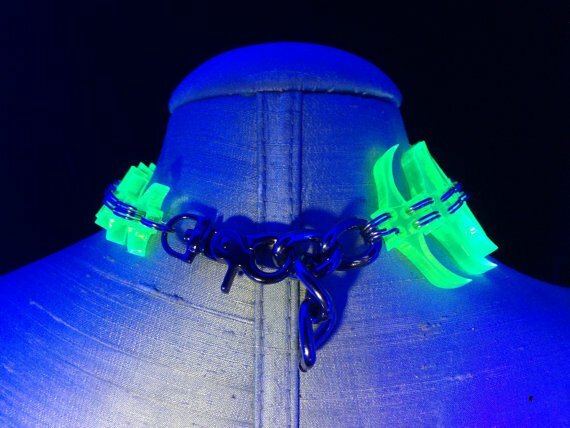 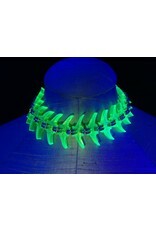 The Paleotron Spine Choker is made from laser cut and engraved black light reactive acrylic, joined together with stainless steel split rings, and fastened with a chain and clasp for an adjustable fit. 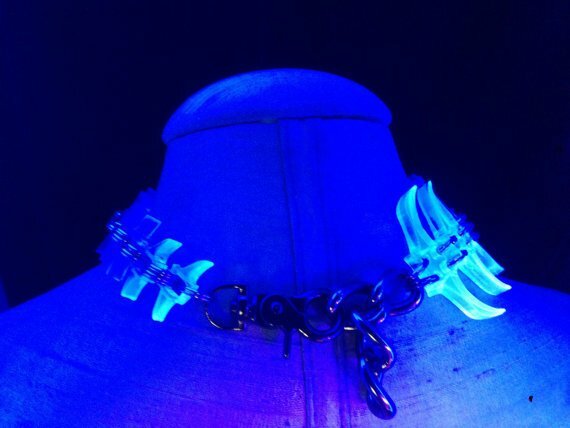 All photos taken under black light. 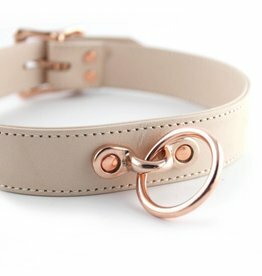 Ready to ship in 2-3 weeks if out of stock.